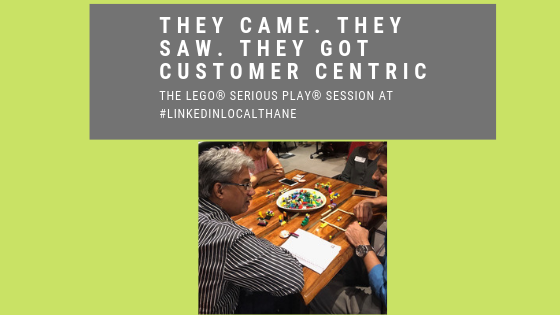 The LEGO® SERIOUS PLAY® Session was hosted at #LinkedInLocalThane. 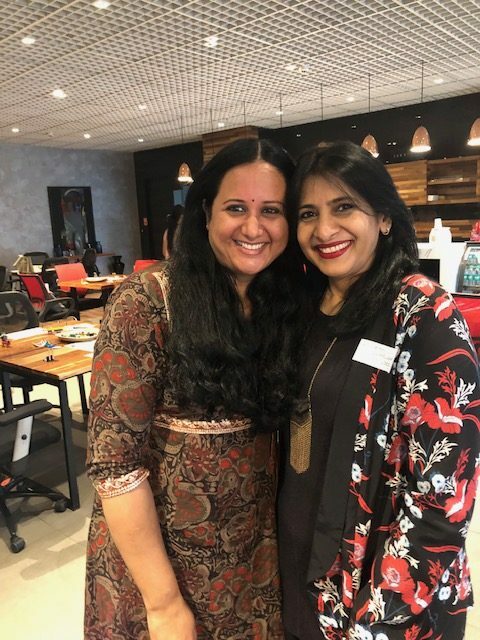 On Saturday, March 16th, some smart minds got together at the #RedBrick office for yet another networking evening organized by none other than the enthusiastic and very gracious host, @Shweta Ojha. The evening however was focused not on the guests but on their customers. The theme was Customer Centricity! The LEGO® SERIOUS PLAY® (LSP) Facilitation Methodology is simple in its ability to take the complexity out of wicked problems. Being acclaimed globally as a facilitation methodology that can take on everything from team building challenges to formulating strategic frameworks, to understand core challenges and come up with solutions and to extrapolating simple guiding principles for groups, the LSP Methodology is now gaining great momentum. The key advantages here are that one does not have think too hard – your hands do the thinking. The second important aspect is that the focus is always on the model you build and not on the person. And of course, the third and most important point is that every single person in the room participates all the time – called the 100-100 participation! What methodology could be better than that! The feedback we got from our participants was enthusiastic, appreciative and satisfactory! Most went home with answers. They had discovered a new way of looking at things through their own models and the sharing of others and they had shared their perspectives with others on the table. It was an evening of revelations, realizations and reflection! All with tiny little bricks on the table that were ready to take on big challenges! At this point, I must thank the ever-gracious host Shweta Ojha for organizing this so well. Camaraderie, networking, fun, laughter and lot of food and drink flowed through the evening. A photo session was also full of laughter and her lovely personality gave a brighter look to the #redbrick office space. Thanks also to her father who read out a wonderful poem penned by him – one learns from the wisdom of the elders – and this was a learning for all of us. And thanks again for a really lovely gift – a big surprise and a very thoughtful gift at that! The LEGO® SERIOUS PLAY® Session at #LinkedInLocalThane could not have happened without the as-always wonderful LSP Community: Laxman Murugappan, Mandar Thosar, Kartik Shah, and Vijay Talreja. You all are wonderful to work with and I always always look forward to an occasion to catch up with you very talented people! Thank you! On to the next session! Watch out, it’s coming soon! Previous Post Crossing the Chasm: In leaps and bounds!